Do you ever feel overwhelmed by life in our loud, busy world? It’s not surprising. The 24-hour news cycle is full of negativity and scaremongering about wars, political skirmishes, and economic struggles. Our always-on, always-connected culture is addictive and yet unfulfilling. We’re told by advertising and media that we’re not rich enough, thin enough, young enough, successful enough. We’re left feeling stressed and burned out. Here’s a reminder of five simple yet powerful things you can do to turn down the noise, reclaim calm and find true happiness. Have you noticed how you breathe when you’re stressed? You take rapid, shallow breaths, and this can actually make the physical symptoms of stress worse. Concentrating on and controlling your breathing can reduce your stress levels and your blood pressure, and increase feelings of well-being, calm and energy. A technique known as box breathing (also known as tactical breathing) can help: simply inhale for four counts, hold your breath for four counts, exhale for four counts, hold for four counts. You can do this anytime, anywhere to help you regain control and calm. The buzzword on this is ‘mindfulness’ but it basically means being present in the moment. It’s easy to let our minds spiral out of control when we’re overloaded with information, emotion or stress, and we can end up raking over the coals of the past or catastrophizing about the future. Use your senses to gently bring your mind back to a calm state; focus for a few minutes on your breathing, your surroundings, or something you can hear, see, smell or taste. The best tool to combat the culture of ‘not enough’ is gratitude. A gratitude practice can be as simple as writing down one thing you’re grateful for each day. This small action can have profound effects on your mind and body, leading to better sleep, better self-esteem, improved health and a more optimistic outlook. We love being connected, and being able to access a world of information in an instant. Yet, as professor of psychology Larry Rosen writes in Psychology Today, “We are not automatons that can stay connected to the Internet, gleefully task switching for hours on end without breaks, and expect ourselves to not feel anxiety about missing out on something that “might” happen when we are disconnected.” He suggests that after using technology for 90 minutes, you should take a break for around 10 minutes to ‘reset’ the brain and regain calm. That could be something like walking around the block, doing a crossword, or having a chat with a co-worker over a coffee. You might get to a point where you realise you need some extra help and having a neutral, impartial person to talk to can do a world of good. A counsellor or life coach can help you lay out the problems you’re grappling with, and point you in the right direction. Although it can be hard going, working on complicated issues in your life will reap massive benefits in terms of mental well-being, and may even see you making huge strides in your relationships and career as you gain calm and confidence. If you want to start small, you can take a look and gain advice from some of the web’s top counsellors who provide more tips and thoughts for better living. 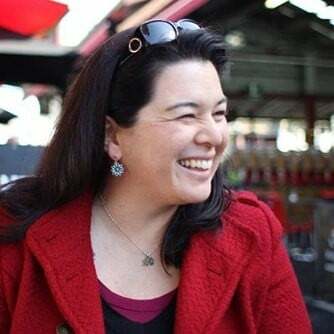 Rebecca Jee is a writer for Open Colleges, one of Australia’s leading online education providers. As a freelance writer, editor, graphic designer, photographer, musician, crafter, food consultant, massage therapist – you name it, she’s done it all. Rebecca considers herself “multipassionate”, and loves helping people find what they’re passionate about too. Next articleDoes My Child Need a Fluoride Supplement?